In a much anticipated decision, the Third Circuit Court of Appeals upheld the rescission of H.J. Heinz Company’s $25 million production contamination insurance policy because Heinz made material misrepresentations concerning previous product contamination claims when it applied for the policy. H.J. Heinz Company v. Starr Surplus Lines Insurance Company, No. 16-1447 (3d Cir. Jan. 11, 2017). The fact that Heinz’s application misrepresented its history of prior contaminations losses was clear. The insurer’s application asked Heinz to disclose past complaints, recommendations, fines or penalties by food regulatory bodies. Heinz stated there were none. The application also asked Heinz to disclose any product withdrawals or recalls in the prior ten years. In response, Heinz’s broker provided copies of the company’s loss history report, which failed to disclose a loss in excess of $10 million related to nitrate contaminated baby food marketed in China and other losses in excess of $5 million each. The insurer analyzed and relied on the information provided in Heinz’s application and decided to issue a policy. Two weeks after the policy was issued, Chinese authorities informed Heinz of a second problem with its baby food, this time involving lead contamination. Heinz recalled the product and incurred significant losses related to the recall. Heinz then notified its insurer of the loss and sought coverage under the recently issued product contamination policy. In investigating the lead contamination loss, the insurer discovered the prior nitrate contamination problem that had not been disclosed on Heinz’s application. The insurer then notified Heinz that it was reserving the right to deny coverage and rescind the policy based on misrepresentation in the application. Heinz responded by filing suit. Litigation involved a number of contested issues ranging from the scope of electronic discovery, choice of law, and waiver of rescission. Heinz argued for the application of Pennsylvania law, rather than New York law, which was designated as the applicable law in the policy’s choice of law clause, because Pennsylvania law on rescission is generally more favorable to policyholders than New York law. In a related argument, Heinz argued that by relying on the policy’s choice of law clause for the application of New York law, the insurer ratified the policy and waived the ability to rescind it. The Third Circuit rejected Heinz’s argument on choice of law and waiver of rescission by reliance on the policy’s choice of law provision. 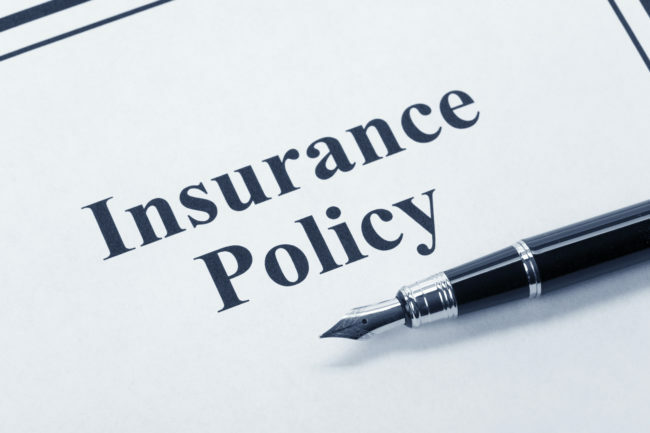 But perhaps the most important aspect of the court’s decision concerns Heinz’s argument that the insurer waived the ability to rescind the policy because its underwriters had knowledge of the events that Heinz had failed to disclose on its application. Heinz had sought extensive discovery from the insurer, particularly documents and emails from underwriters, in an attempt to demonstrate that the insurer issued the policy with knowledge of Heinz’s prior losses despite Heinz’s failure to disclose them in the application. Heinz pointed to emails, that can be described as a couple needles in a haystack of information, which Heinz claimed revealed that one underwriter had read an internet news article about one of the undisclosed losses and had information about another loss that Heinz had disclosed in an application for a different policy. Under New York law, an insurer can be found to have waived the right to rescind a policy when it had sufficient information about the misrepresented facts from a source other than the insured’s application. Heinz argued that the emails and internet articles demonstrated that the insurer issued Heinz’s policy with sufficient knowledge of the events Heinz had failed to disclose. The court rejected this argument. Therefore, Heinz could not avoid the consequences of its failure to disclose significant information about its loss history when it applied for coverage. The court’s decision confirms the importance of truth and accuracy in applications for insurance and an insurer’s right to rely on the information provided in an application when deciding to issue a policy. Equally important is that although an insurer can waive the ability rescind a policy if it had actual knowledge of the information that the insured failed to disclose, the court did not hold the insurer to a draconian standard of actual knowledge that fails to consider the realities of the underwriting process and the availability of information in the era of Google where almost anything exists and can be found online.